FRESH ARRIVAL!!! 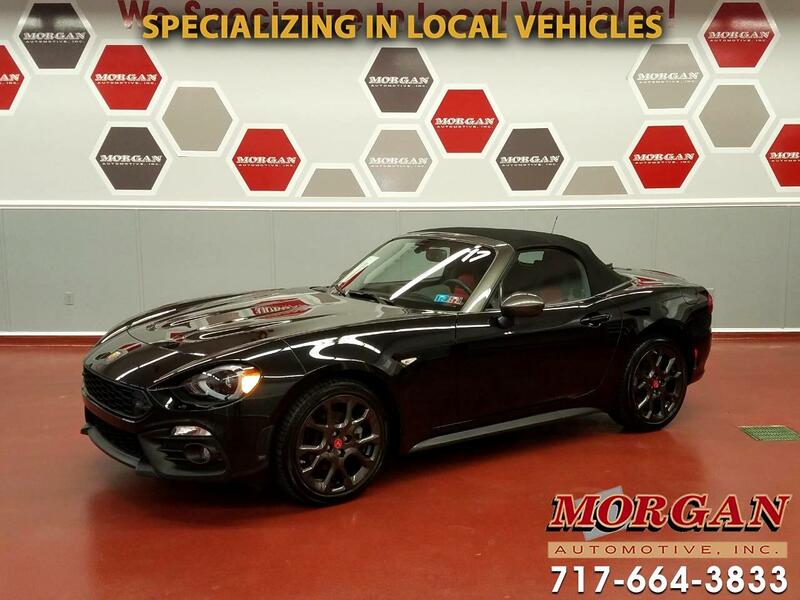 ****ABSOLUTELY GORGEOUS 2017 FIAT 124 SPIDER ABARTH CONVERTIBLE IN SHOWROOM NEW CONDITION****ONLY 3000 MILES!! ****CLEAN 1-OWNER CARFAX**** This is an amazing roadster just in time for Spring! Features include heated seats, large touchscreen infotainment center with hands free controls, rear view camera, AM/FM/SAT/USB/AUX radio with Bluetooth, power windows, locks and mirrors, traction control, blind spot monitor and rain sensing wipers. Vehicle was recently through our shop and has had a multi point inspection done which includes State inspection and fresh oil change. Tires and Brakes are like new. Comes with the balance of the factory warranty with options to extend coverage for added peace of mind. Financing is available and all trades accepted. For more details on this awesome machine contact our friendly commission-free sales team.